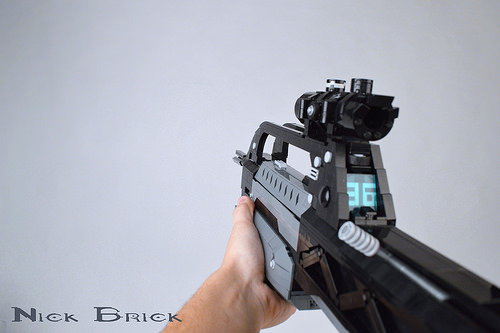 LEGO BR55 Battle Rifle from Halo 2 does everything! “Pew Pew” not included. 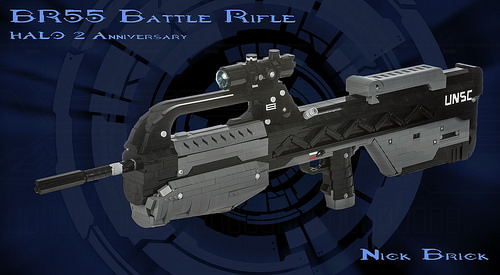 Nick Jensen is well known for his recreations of iconic science fiction weaponry. His latest definitely doesn’t disappoint! This gun features a see-through scope, working trigger, removable magazine and a sliding charge handle. So this isn’t just a beauty queen, meant to grace a wall or shelf. It is meant to be played with! Nicely done, Nick, nicely done.